At Grandma’s place, Jade had some exciting moments with her cousin Liam. 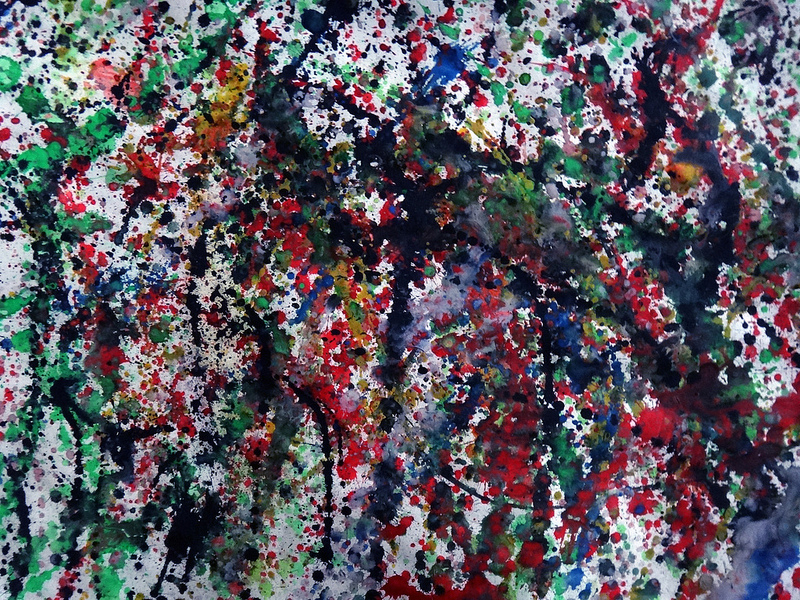 Liam loves to “splatter paint” and he created this wonderful autumn image (above). 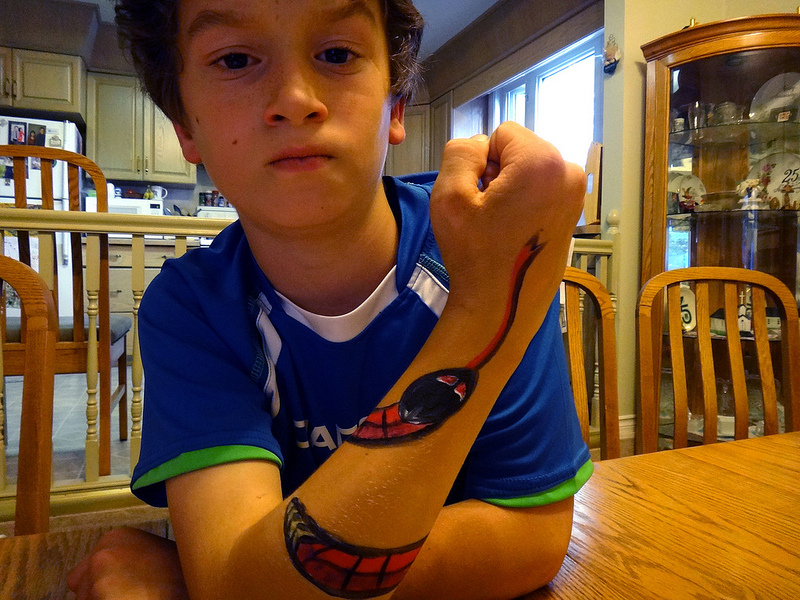 My wife also created this “edgy” snake for Liam’s arm with face paints (below). Liam’s hamming it up to scare his mom (my sister).